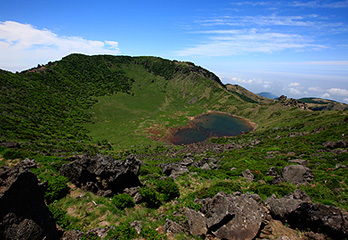 On June 27, 2007, UNESCO’s World Heritage Committee listed Jeju Volcanic Island and Lava Tubes as a World Natural Heritage in view of the site’s parasitic volcano and lava tubes, as well as for its outstanding geological features and special properties as a habitat for a variety of rare and endangered species. 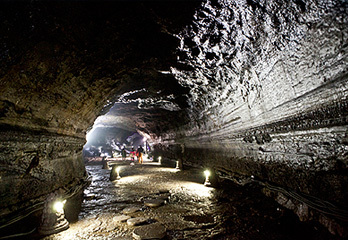 Jeju Volcanic Island and Lava Tubes is largely comprised of three sites: the main site of Hallasan National Park, Seongsan Ilchulbong Peak, and the Geomun Oreum lava tube system. The lava tube system includes dozens of oreum, or a parasitic cone in English, and the five lava caves of Bengdwigul, Manjanggul, Gimnyeonggul, Yongcheondonggul, and Dangcheomuldonggul caves. 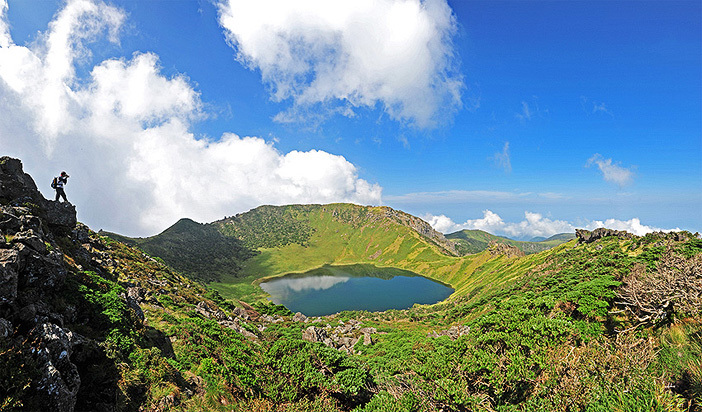 Reaching to a height of 1,950 meters, Hallasan National Park offers the tallest mountain in Korea with gentle slopes formed by eons of volcanic activity. A variety of animals and plants inhabit the slopes, including the largest forest of Korean fir trees (Abies Koreana) in the world. Because of the unique and mysterious landscape created by the surrounding 360 cinder cones and its outstanding research value, the Korean government designated the mountain as a national park in 1970, and it has been protected ever since. 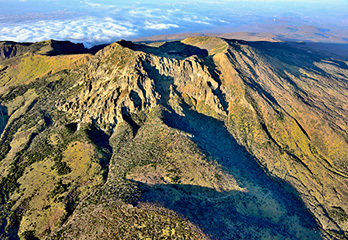 In addition, the top of Hallasan Mountain offers a view of the magnificent vista over the entire Jeju Island. The peak also holds Baengnokdam, a crater lake 3km in circumference and 500m in diameter, giving helpful insights in academic research. Geomun Oreum refers to the series of lava tubes formed some 100,000 to 300,000 years ago by huge amounts of basalt lava that spewed from Hallasan volcano. Lava tubes designated as the UNESCO World Natural Heritage are Gimnyeonggul Cave, Dangcheomuldonggul Cave, Manjanggul Cave, Bengdwigul Cave, and Yongcheondonggul Cave. The largest tube in the bunch is Manjanggul Cave. This cave features a variety of stalactites and stalagmites, along with attractions such as Yongam Bridge and Yongam Falls. The cave and its various formations have outstanding value when it comes to researching the process of formation of the lava tubes. Seongsan Ilchulbong Peak, one of the 360 parasitic cones on Jeju-do, was uniquely created on the sea floor. Some 5,000 years ago, an underwater eruption on the shallow seabed resulted in a tuff ring. Rising 182 meters above sea level, the tuff ring was originally an island, but the gradual deposit of sand and gravel formed a connection to the land. 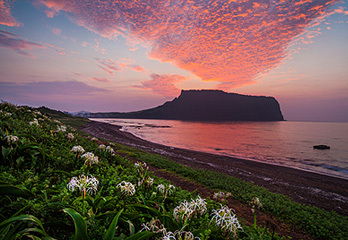 Also called "the Oreum of the Rising Sun," Seongsan Ilchulbong Peak is one of the most treasured landmarks of Jeju-do, attracting numerous tourists for a view of the sunrise and sunset. This page was last updated on July 13, 2018, and therefore information may differ from what is presented here.